A portiere rod is available in the 12mm diameter range, which is ideal to keep the cold out when used for door curtains. Available in a choice of three finials complete with 10 rings. The portiere poles are supplied in a 1m length and can easily be cut to size with a junior hacksaw. 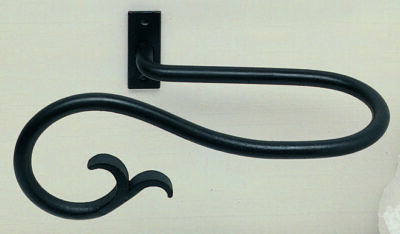 A mini portiere rod is also available (which is 50cm long and is supplied without rings). This is ideal for tiny attic windows. A double curtain pole is also available in the Artisan range, which is ideal to create layering or if you would like to feature a voile and a heavier curtain at your window. There is a 12mm pole at the back, which is supplied with a discrete stopper finial. A 16mm pole is featured at the front with a choice of all the 16mm finial styles. The Artisan 16mm bay curtain pole kits are available in 2 sizes and are suitable for 3 sided bay windows. There is a pole kit suitable for bay windows up to 3m, and a kit suitable for bay windows up to 4m. 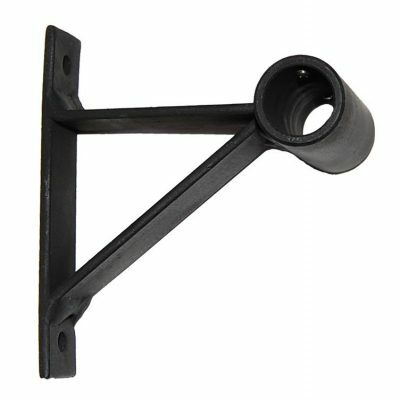 The poles are supplied in 2 pieces with 3 brackets. The corners can be angled to suit your bay window requirements.